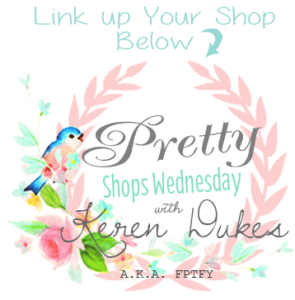 Welcome to the 11th Pretty Wednesday Link Party! 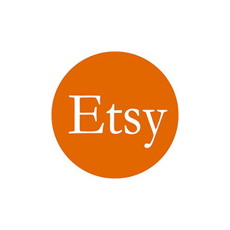 For those of you that are new to my Blog, Linky Parties aren’t something new around these parts.. WYWW had a strong 124 weeks, and as most of you know, it was one of the very few linky parties out there that allowed SHOPS to link up. I never wanted that option to go away, for I know, many of you truly appreciate it! I mean.. who doesn’t like Free advertizing, right? So why the change? The main reason is, WYWW was just really all over the place/disorganized and that definitely needed to change. 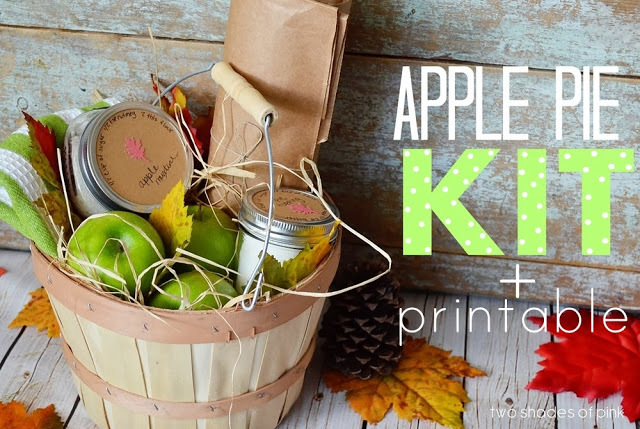 Apple pie Kit and Printable by Two Shades of Pink — The fall cuteness in this is killing me! This is a kit that would make me girly squeal, for sure! 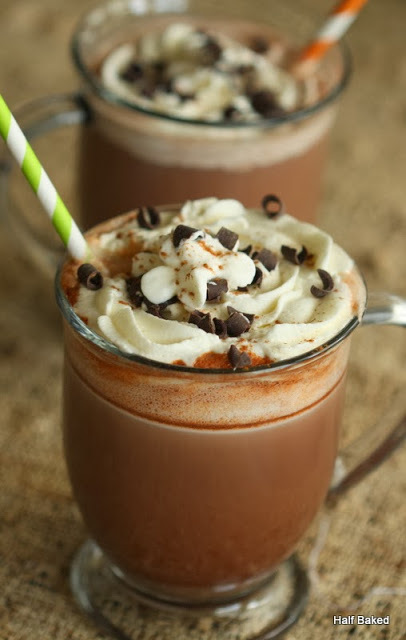 Cinnamon Chip Hot Chocolate Mix by Half Baked . Mmm.. This would be prefect.. like.. NOW. 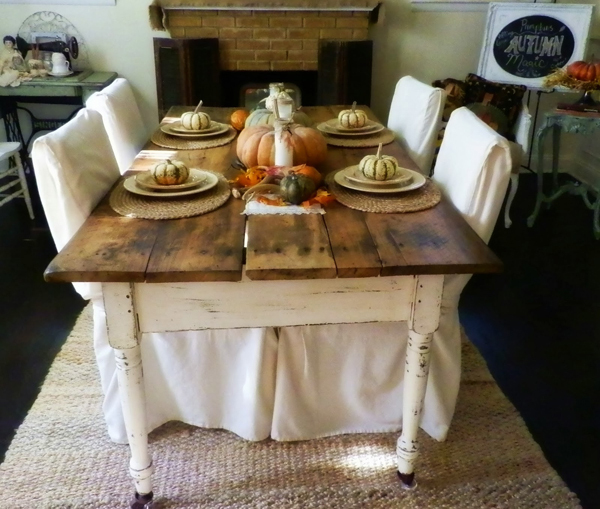 $10 Find: Antique Farm Table and Fall Tablescape by Junkaholics Unanimous. WOW.. really?! $10 for that gorgeous table! Miss Jinkaholics scored big time! 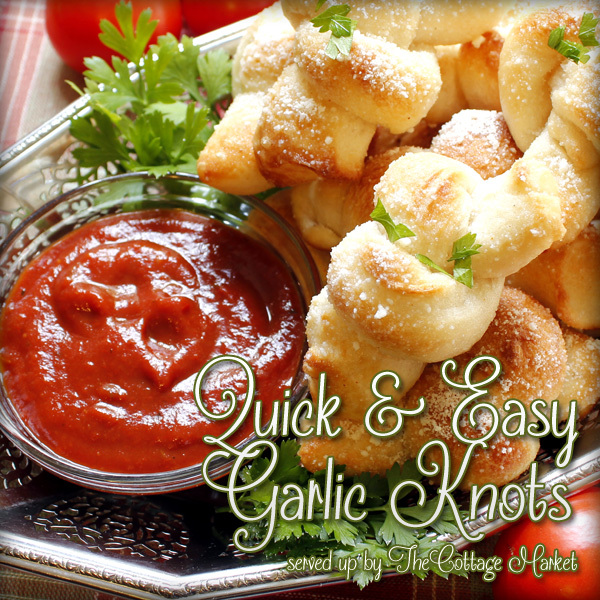 These Quick and Easy Garlic Knots (On the Lite Side ) by The Cottage Market were too perfect not to share! Especially because they are on the light side. You wont find greasy knots here! Just light and dripping in perfection! Thanks for the party, Keren! :) Have a great rest of the week! As always my friend…a BIIIIIIIIIIIIIIIIIIIIIIIIIIIIIIIIIIIIIIIIIIG Thank you for such a gorgeous party!!! Always thinking of us and giving us such a fabulous place to display our creations! YOU ROCK…hugs and love to all! Thanks for hosting! I accidentally linked up a black widow spider costume and chili recipe in the shops section… can’t fig out how to delete so sorry! Have a great Wed my friend!!! Thanks for hosting Keren and for adding the shop link up. Very appreciated!! Happy Wednesday, Keren! Thanks for hosting another week!